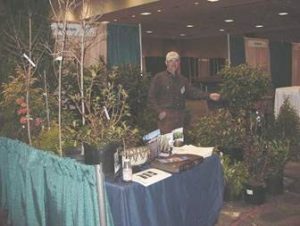 IMPACT: All of the trainings were beneficial to the growers in our group for the knowledge gained, but what had the most profound impact on those attending was the trade show where they could view and compare the different types of nursery production and displays–all together under one roof. 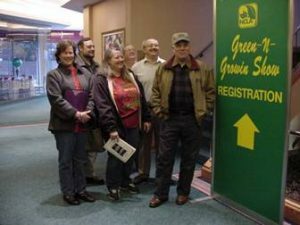 The growers left the trade show very excited over the opportunities offered by the green industry that they were joining. 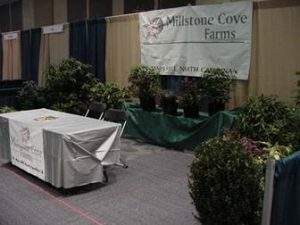 SUMMARY: One county agent, one NCA&T technician, and five nursery growers attended educational trainings at the Green and Growin’ Show in Winston-Salem. The trainings attended included the seminars entitled “Growing an Outstanding Nursery Business” and “Plant Health Diagnostic Clinic and Seminar for Landscape Plants”. 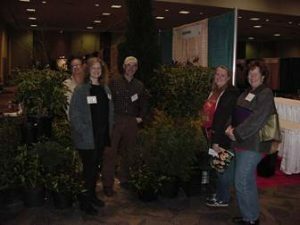 In the first session, topics were covered to educate growers in tax management and tips, business plans, cost accounting, record keeping, budgeting and product pricing, and labor management for nursery businesses. The second session was helpful to the extension employees as it pertained to disease diagnosis, and insect, nutritional, and physiological problems that may develop on landscape plants as well as IPM strategies for managing them. On the second day, the growers were free to choose from a variety of sessions, whatever they were most interested in. Some of the group at the Green and Growin’ Show.